When you only have one day to spend at the British Museum, where do you start? My husband and I were lucky enough to be members for a year and, during that time, we tried to visit as many sections of the museum as possible. But when his family came to visit, we had only one day to share with them the wealth of knowledge to be found in its hallowed halls. So we started with the King’s Library, now known as the Enlightenment Gallery, which is something of a mini museum of its own. 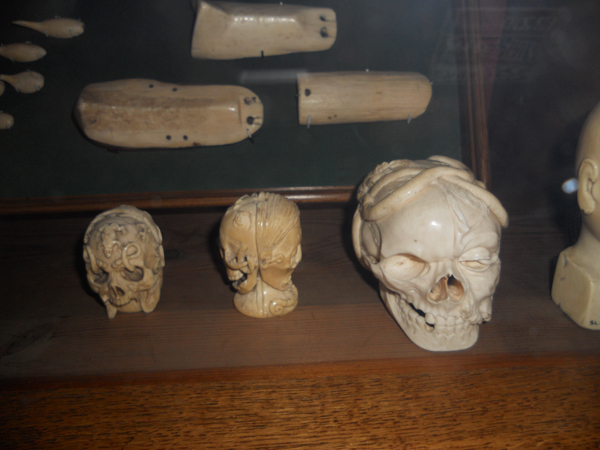 It started with the collection of George III, donated to the museum upon his death. The exhibit is laid out in the same manner a collection would have been displayed during the age of Enlightenment and explains how Europeans viewed the world at this time. There are so many items in this room, you can’t note them all in one pass. You could probably spend a whole day in this room. The gallery is laid out in sections, with each devoted to a portion of understanding that was important during the enlightenment. It begins with religion and ritual. There were many small statues of gods from various world religions in this section. 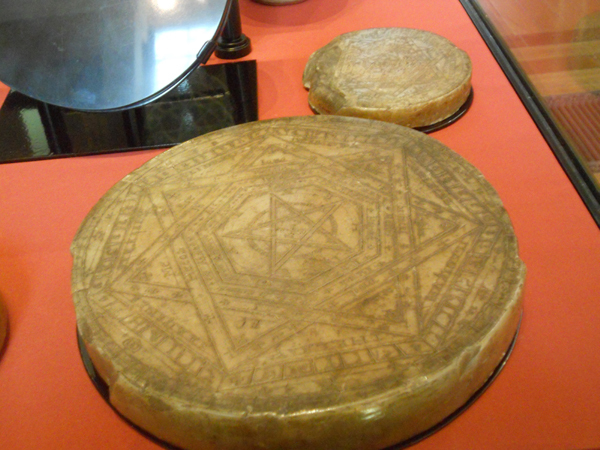 Also included were artifacts from the collection of Doctor John Dee, renowned for his experiments involving the conjuring of the divine. There was also an Aztec sacrificial altar, where the hearts would have been placed after sacrifice. The next section involves trade and discovery, including ceremonial and everyday items representing various cultures around the world. The highlights of this section are the tribal artifacts, such as Tomahawks from the Virginia Algonquians, as well as other Aboriginal shields and clubs acquired from New Zealand, Tahiti and Australia. There’s a section featuring the birth of archaeology, followed by a section featuring art and civilization. As you would expect, this section features several Greek and Roman sculptures. 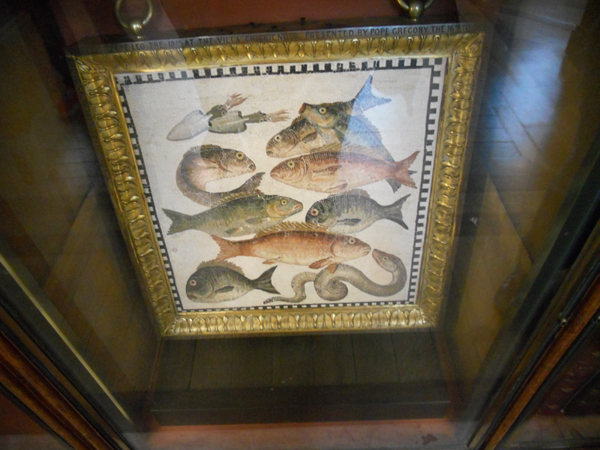 There’s also an amazing Roman mosaic featuring several fish, which was made in the first century. It’s mind-blowing to see something that old and that’s still in fantastic shape. Moving on, there’s a section related to classifying the world. As you can imagine, scholars in the Age of Enlightenment classified the world very differently than we do today. This section features several amazing astrolabes, scientific instruments at the time. 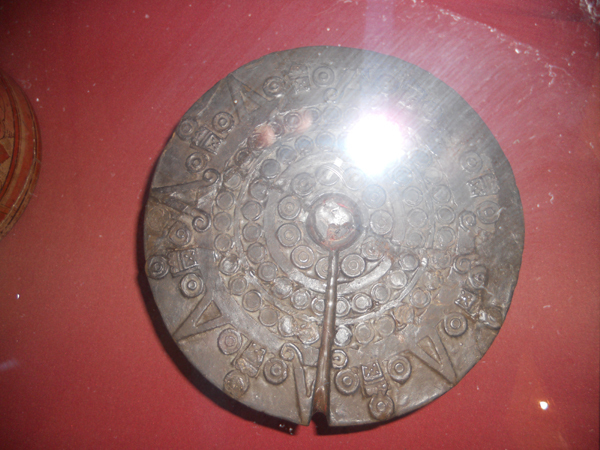 Astrolabes represent the relative positions of stars, constellations and other heavenly bodies. 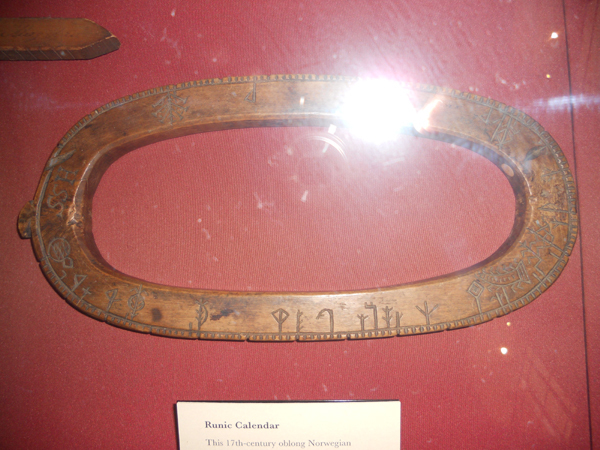 They were used for time-keeping, surveying, determining latitude and casting horoscopes. 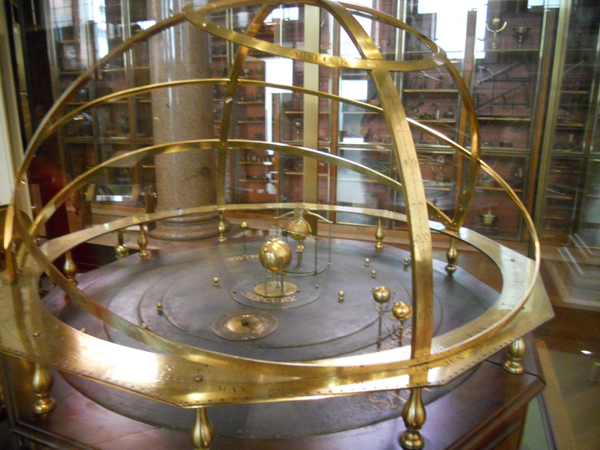 There’s also an orrery, which is a mechanical model of the solar system used as a teaching tool. One of my favourite sections was the portion devoted to ancient scripts. Here they have a Norse runic calendar, ancient Egyptian hieroglyphs on ceramic, a poem inscribed on papyrus, as well as Sanskrit carved tablets. As you might imagine, I have something of an obsession with languages and scripts, especially those related to ancient civilizations. It’s interesting to see how writing grew, as both a method of communication and a form of art. But I digress. The final section is devoted to the natural world. 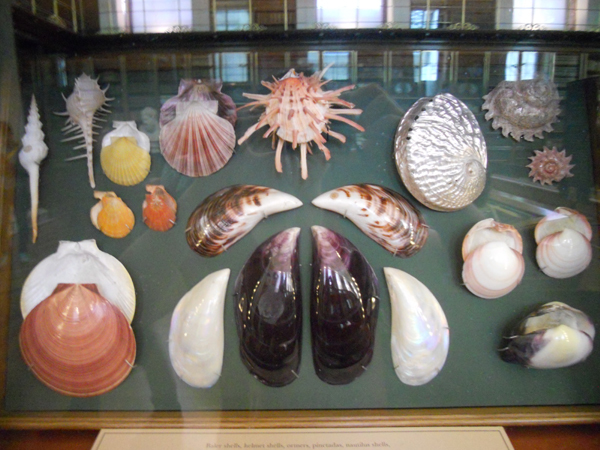 Here there’s a grand collection of animal bones, feathers, plant samples and shells. There are even some fossils. While some of the animal figures have been hand-made, most of what is on display is natural. It must have been painstaking for the original collectors to gather all of these objects, but they were obviously dedicated to the task. We spent a couple of hours on in this exhibit (believe it or not), before we moved on to other things. Already our minds were swimming with information. We felt like we had already explored an entire museum.